Mary - I first got involved in track in elementary school. Our school had an afterschool program that my current coach, Ed Stickles ran. I joined the track team during the outdoor season as a seventh grader. Before then I had been a swimmer, so in eighth grade I swam during the fall. I came back though for the indoor season, and since then I have run every season. 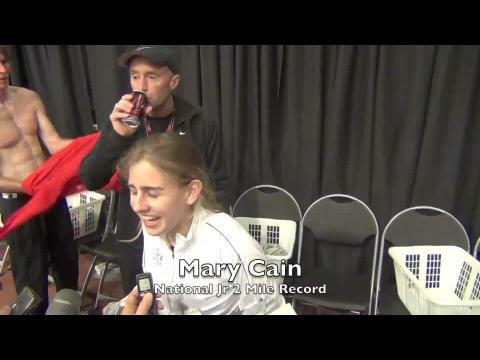 Mary - My family and coaches definitely are the most influential to my success in track and field. They are my biggest support team and without them, I never would have reached where I am today. MileSplit - Your favorite track & field event(s)? Mary - I must admit I really don’t know! They’re all so different and fun in their own way. I run a lot of different events, ranging from the 400 to cross country, so it is always hard to choose. MileSplit - Your track & field event coach(es)? Mary - Since the indoor season I am coached by Ed Stickles and Juilo German (our boy’s team’s coaches). MileSplit - Keys to your successful track & field training program? 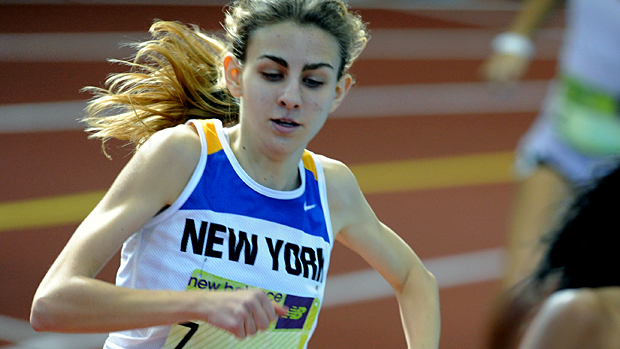 Mary -This past indoor season I have been doing a lot of strength training. My coach, Julio, has also introduced me to flexibility training, rolling, core, and injury prevention. This season, I have now started speed training. MileSplit - Your favorite track & field meet? Mary - One of my favorite outdoor track and field meets is the Somers meet. I always love going to that meet, since I get to see a lot of people and the meet is known for its great T-shirts! Last year, it was also the meet I broke my first state record in (4:23-1500), so I have fond memories of that track. I also always enjoy the Warwick meets, since I always get to see a lot of kids I don’t get to see to often. The track is also very fast and the meets themselves are always really lively and fun. They serve great pasta there too. MileSplit - Track & field athlete(s) you most enjoy competing against? Mary - There are a lot. It was a lot of fun to meet Ajee Wilson this past Indoor Nationals meet. I got to warm up with her which was a lot of fun! 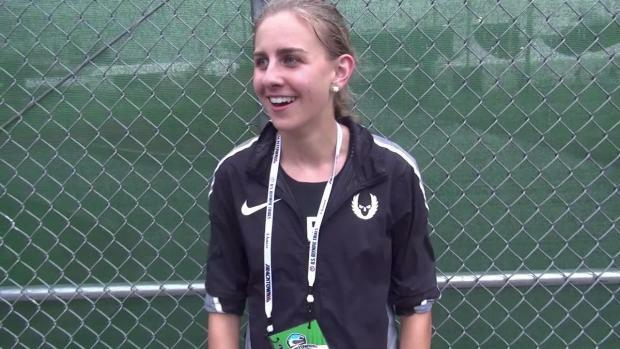 I got to travel out to Oregon with Rachael Paul who had an incredible indoor season. I have been lucky to get to know and compete against Sam Nadel, Briana Nerud Kelsey Margery and Anima Banks. 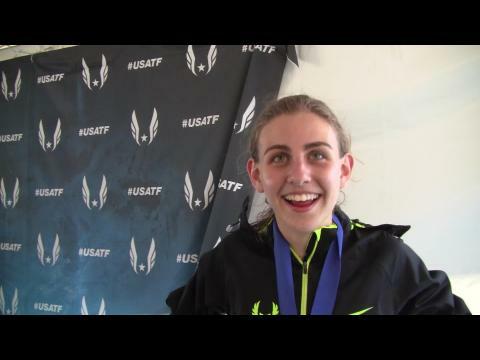 MileSplit - Your greatest experience in track & field so far? 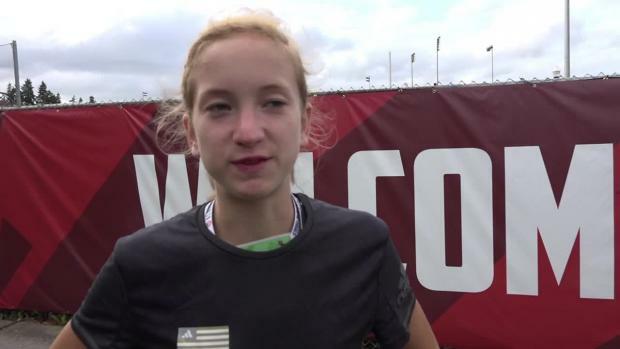 Mary - I would have to say the greatest experience I have ever had in track and field was the Nike Track Nationals event this past summer in Eugene, Orgeon. It was amazing to get to go out there and race against some tough competition and see Hayward Field. I would love to have the opportunity to run there again! The outdoor state meet last year was also very memorable for me. I ran the 1500 and had a lot of fun with the race. It was great to see a lot of my friends and get to run fast! MileSplit - Goals for the 2012 track & field season? Mary - Like all runners I would like to continue to improve my times. I want to stay healthy and focused and if I can do these things it will be a great season. MileSplit - Long-term goals in track & field? Mary - I really do love to run so I hope I will still be running competitively. It would be hard to imagine my life with out track. Mary - Ice cream! My family and I often go out after my races to find ice cream places (or we just go to Wendys to get frosties). Mary - It’s been so hot recently, that I think I’m going to have to go with shorts. Mary - MONOPOLY!! I must admit I love that game! Scrabble’s fun too, but come on, you can’t beat Monopoly. Mary - I have a facebook account, but I must admit, I don’t really go on it too much. I do not have a twitter account. Mary - I love the snow when you can sit inside and watch it come down, but from a running perspective sun, so we definitely have been lucky this winter.